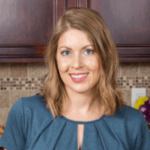 Published: Apr 16, 2018 · Modified: Apr 11, 2019 · By Jen Sobjack · This post may contain affiliate links. 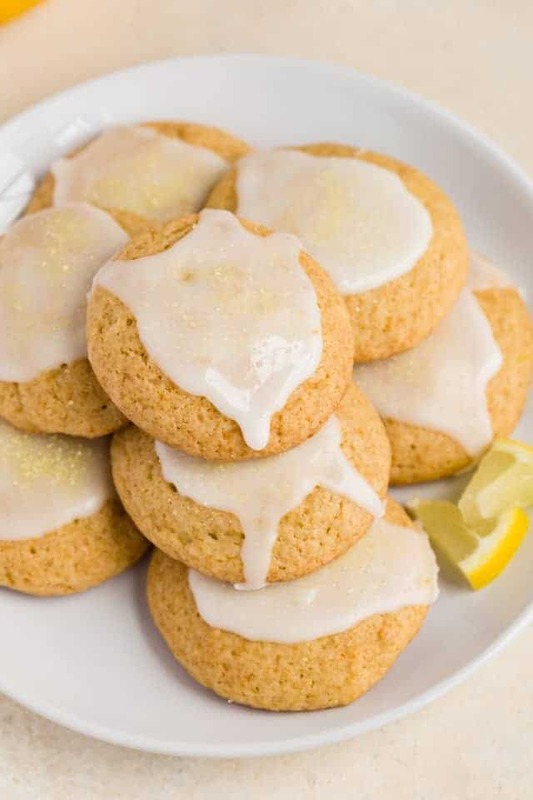 These Glazed Lemon Cookies will get you feeling excited about spring! They are pillowy soft with loads of lemony tang that will brighten the cloudiest of days! 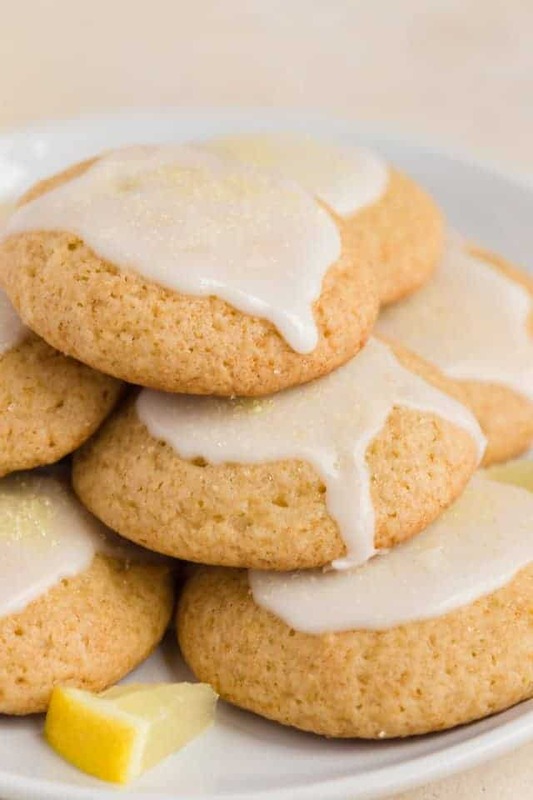 Way back when the blog was just a hobby I created a recipe for soft Meyer lemon cookies and it has always been a favorite of mine. Lemon is something I simply can’t pass up. 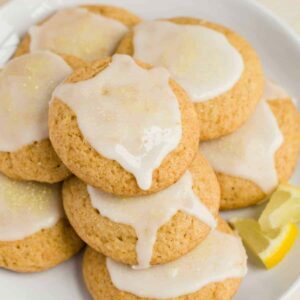 Today’s lemon cookies are an exact replica of those delightful cookies except they are made regular lemons instead of Meyer lemons. They are just as incredible as the original, though. So soft, cakey, and loaded with sweet lemon. This is definitely a cookie that I highly recommend you try. I’ve often turned away from a cakey cookie but these lemon cookies have completely changed the way I feel about thick tender cookies. First, these cookies are super soft and moist. This mostly comes from the use of yogurt. It keeps the cookies airy, soft, and extremely moist. I use Greek yogurt because it’s super thick and creamy which does wonderful things to the cookie’s texture. Also, Greek yogurt is usually low-fat or fat-free so there’s a bonus! You only need 1/4 cup of yogurt and if it’s something you don’t usually keep on hand, you just need to purchase one single serving container. All the other ingredients in the recipe are fairly basic. There’s flour, white sugar, brown sugar, honey, butter, egg. The flavor comes from lemon zest which pairs beautifully with the honey. I really love how these came out. They taste slightly different than the Meyer lemon version but they’re still a great cookie. The batter is thick like cake batter. You can’t roll it like normal cookie batter. Instead, you need a 1 tablespoon-sized cookie scoop to drop mounds of batter directly onto the baking sheet. 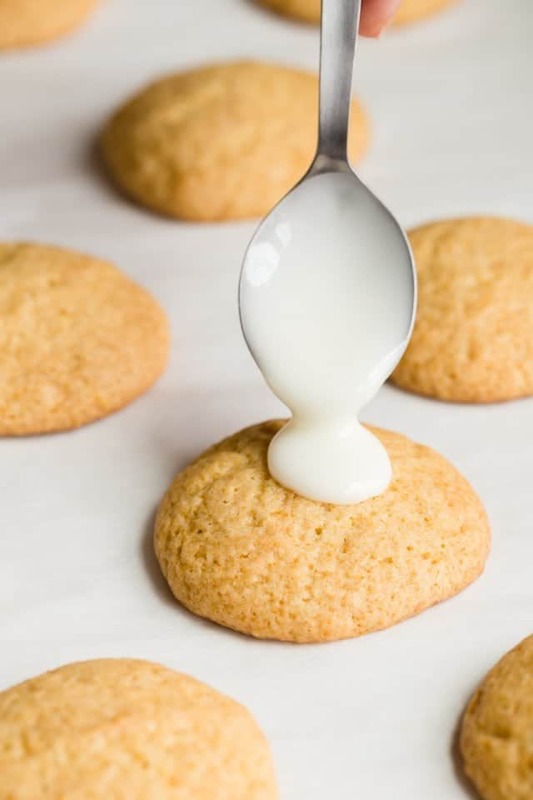 You can use a 1 tablespoon measuring spoon if you don’t have a cookie scoop that size. The cookies get topped with a sweet, tangy lemon glaze. It’s a super simple glaze with just lemon juice and confectioner’s sugar. I sprinkled yellow sanding sugar over the glaze to give the cookies a little color but you could also use lemon zest in the icing. The glaze on the cookies will harden after a few hours. This will make it easy to store the cookies without them getting all messy. 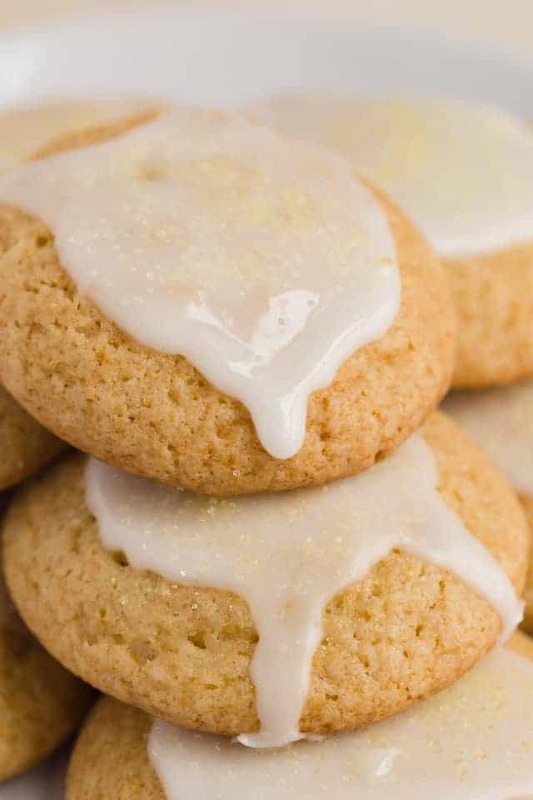 I’m sure you are going to love these glazed lemon cookies. They are sweet, tangy, soft, and flavorful. Think bite-sized lemon cake! Preheat oven to 350ºF. Line a baking sheet with parchment paper; set aside. Add the flour, baking soda, and salt in a medium bowl. Stir with a whisk to combine and set aside. 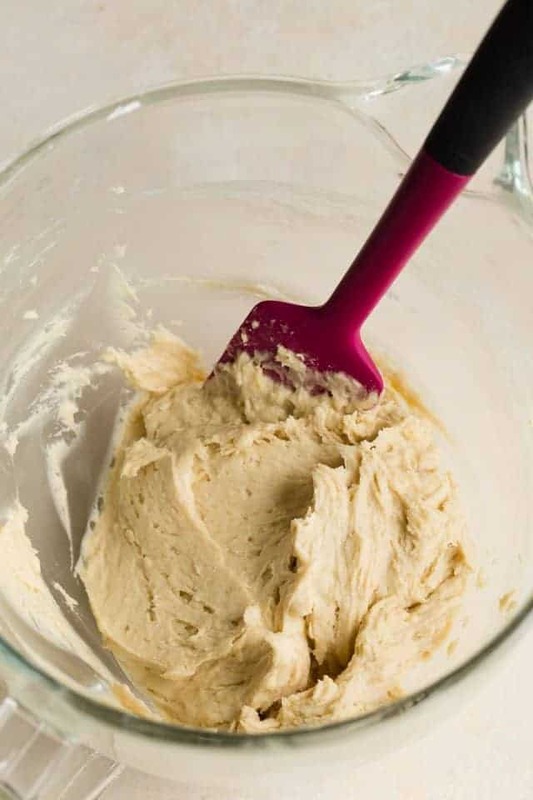 With a handheld or stand mixer fitted with a paddle or whisk attachment, beat the butter and both sugars together on high speed until creamy, about 2 minutes. Scrape down the sides of the bowl as needed. Turn the mixer to low speed, add the egg, then add the yogurt, honey, lemon zest, and lemon juice. Turn the speed to medium-high and beat until combined. Scrape down the sides and of the bowl as needed. With the mixer running on low speed, slowly add the flour mixture. Beat everything until just combined. Take care not to overmix. The dough will be very sticky and thick. 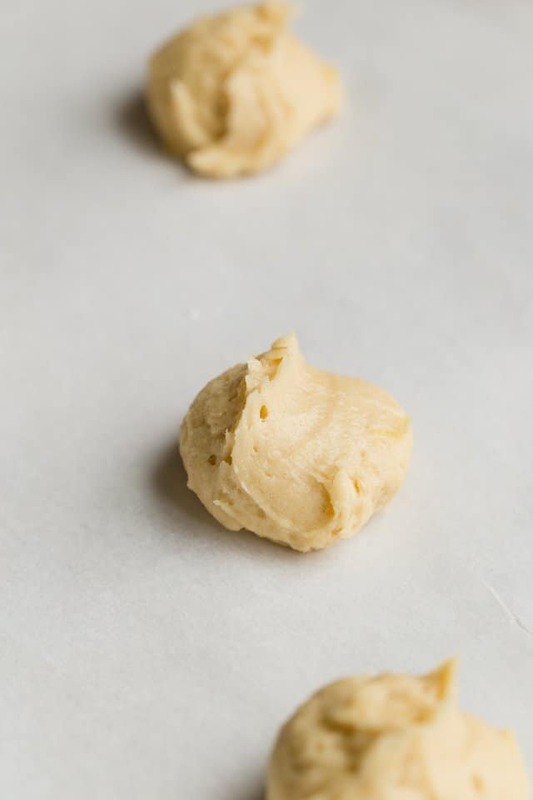 Drop the batter by level tablespoons 1 inches apart onto the prepared cookie sheet. Bake for 12 minutes or until lightly browned. Remove from the oven and allow cookies to cool on the baking sheet for 5 minutes. Then transfer to a wire rack to cool completely before glazing. Combine the powdered sugar and lemon juice in a mall bowl. Stir until all sugar has dissolved. Spoon the icing over the cookies once they have cooled completely. Sprinkle with sanding sugar if desired. Allow the iced cookies sit until the icing sets and hardens, about 2 hours. Glazed cookies will stay fresh stored in an airtight container at room temperature for up 2 days or in the refrigerator for up to 1 week. Baked, unglazed cookies will freeze well for up to 2-3 months. Thaw in the refrigerator overnight then bring to room temperature before glazing and serving. Lemon is also my favorite dessert! I can’t wait to make these!